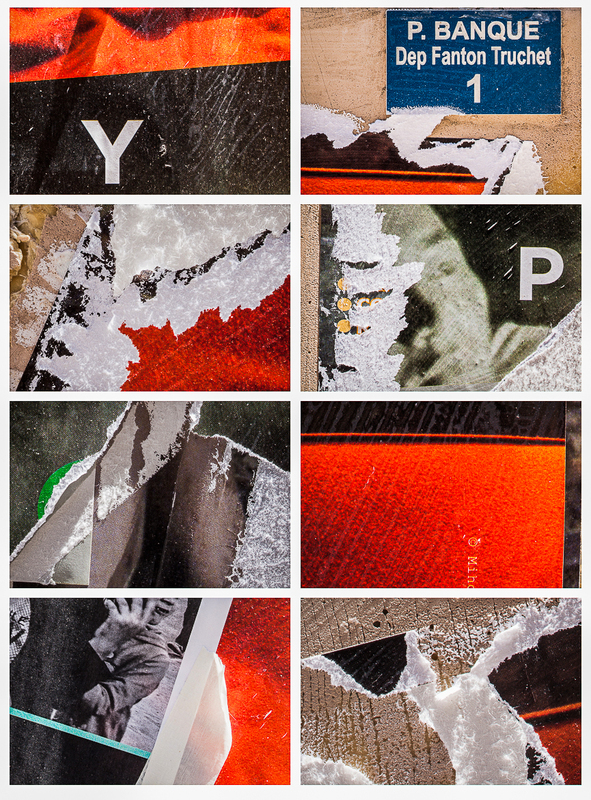 Continuing my Urban Surfaces project, the underlying theme of ‘Rencontres d’Arles’ is a temporal one with the same sense of impermanence that informed my work for the ’Tides’ exhibition. There is the same sense of people coming and going as Brighton seafront, with nearly 100,000 visitors to the festival in a town of only 53,000 inhabitants. The Rencontres d’Arles is an annual summer photography festival in Arles. Every summer since 1970, over the course of more than sixty exhibitions at various of the city’s heritage sites, the Rencontres d’Arles has been a major influence in disseminating the best of world photography. It is the foremost place to see contemporary work. During the festival, many fliers and posters advertising various exhibitions are pasted on walls and other surfaces around the town. 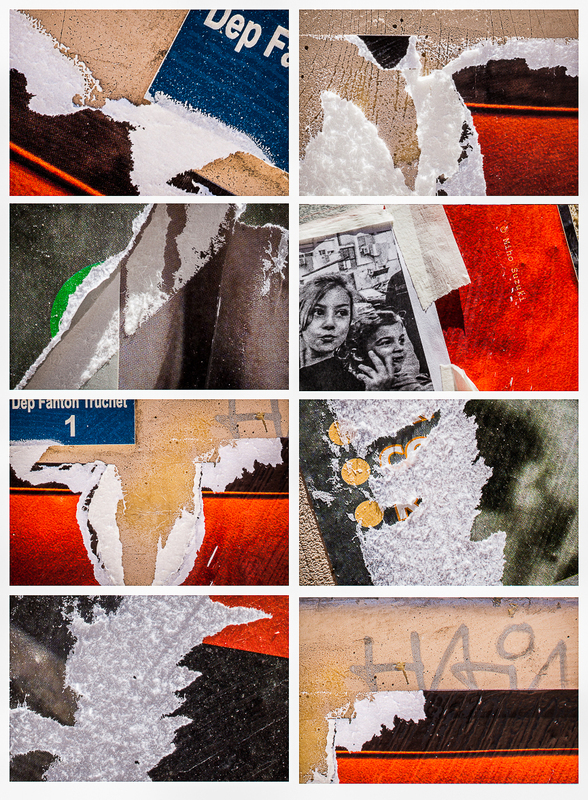 Photographers self-publicise, putting their own work up on walls for others to take away with them. 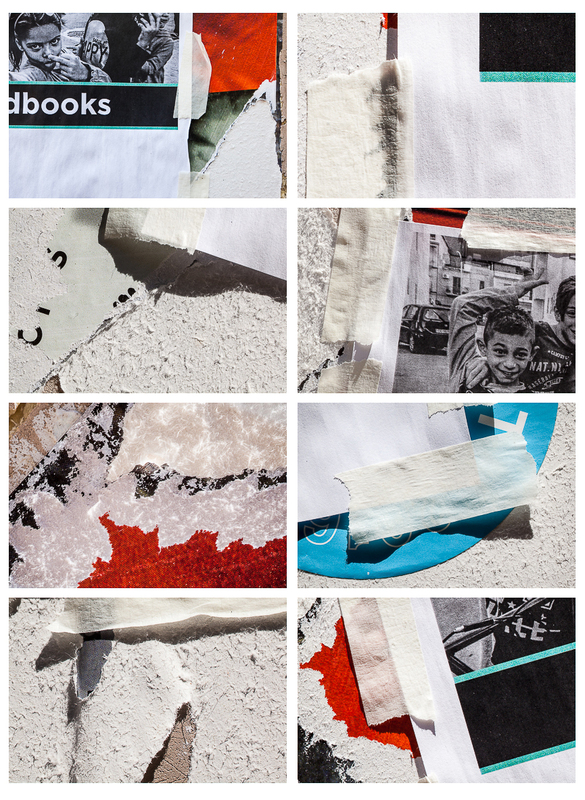 Over time, prints of different kinds appear and disappear, are taped or pasted up then torn off or pasted over. 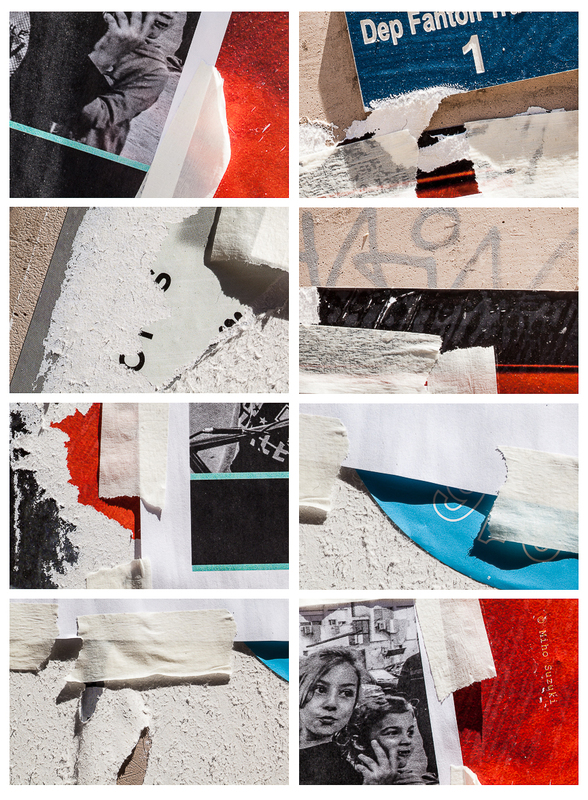 Jumbled layers of paper, glue, tape and sometimes graffiti, build up to form an unintentional kind of imagery which is constantly evolving. Using a macro lens allows me to ‘get into’ the surface of things, revealing the textures and details of different materials.